Heroes: Version 3.2 Update Notification! Another major update will soon be coming to Fire Emblem Heroes! Let’s take a look at everything that was announced in the Version 3.2 Update Notification. The 3.2 Update will be coming later this week on 7 February. The game will go down for maintenance at midnight UTC to get everything ready. The maintenance will end and the update will go live at 4:00am UTC, about three hours before the usual daily reset. While Feh already announced most of the changes in the recent Feh Channel, there will also be a few additional updates. Most notably, eight characters will be getting a Weapon Refinery Update. Click on the Read More button below for a breakdown of all update changes. 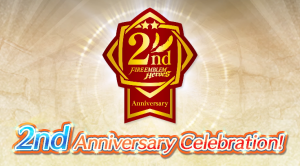 In the meantime, the Heroes 2nd Anniversary Celebration is still in full swing! A new daily reward map is available already, and you can also summon from a repeat banner for Alm & Celica’s BHB. It contains 5★ focus characters for Genny, Clair, and Lukas. The Find & Vote Heroes website will go live tomorrow at 3:00am UTC, about five hours before daily reset. Hope you’re enjoying the anniversary celebration! 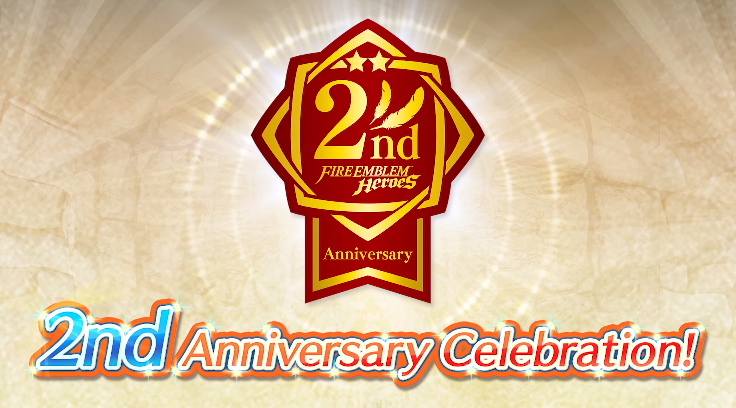 I’ll bet you were probably just as surprised as I was, to not hear anything about an upcoming FEH Channel for Fire Emblem Heroes’ 2nd anniversary. The only thing that managed to surprise me more, was the surprise drop of the FEH Channel video, just a short while ago. FEH describes in her video, an immediate teaser of incoming Bonus Orbs (by Log-In Bonus), Orb Reward Maps and Double EXP/SP events. This much was likely expected, but some other not-so-expected bits of news came in the form of an Aether Raids Update, two sets of Daily Summoning Events, a Special Heroes Summoning Event and a new website-based mini game, Find & Vote Heroes. Check out the Japanese video here.